The whitegoods and appliance retail market is a fiercely competitive marketplace and ripe for digital disruption. Which is why The Good Guys decided to up its ecommerce game in order to give its customer experience a significant boost, The Good Guys’ GM of digital commerce, Bevan Morris, says. Speaking at the Online Retailer Expo 2017 in Sydney, Bevan revealed how since joining the company in 2011, he helped to facilitate the growth of ecommerce sales by over fifteen fold and propelled the brand’s website forward as a major purchase influencer, impacting more than 60 per cent of in-store sales across for the group. The Good Guys also has one of the busiest and most integrated eBay brand stores in Australia, with a thriving click-and-collect program which accounts for approximately 40 per cent of ecommerce sales. According to Bevan, when he first joined The Good Guys, there was very little customer data to leverage in order to truly optimise the customer experience. As a start, his team implemented a simple and cost effective pop-up survey on the company’s website asking people what they were looking for, whether they preferred online or in-store shopping, or if they preferred one of The Good Guys’ competitor’s offerings. A firm believer in cross-team collaboration, Bevan has also introduced a Customer Experience and usability team into the business as well as a prototyping and testing program that maximises resources and budgets to achieve continuous improvement and sales results. “CX has become something everyone talks about in the company and it’s something we strategies very carefully around,” he said. Closely collaborating with the CMO, Bevan also pushed for a digital media strategy optimised for the ROBO customer - research online, buy offline, as well as the customer needs. “This also involved collaborating with the CMO to ensure our online and offline experience is consistent and also attracts a consistent customer base,” he said. A relatively simple yet effective initiative Bevan was responsible for implementing was to optimise The Good Guys’ Dyson content offerings online. “This was something that cost us relatively nothing but was highly effective,” he explained. 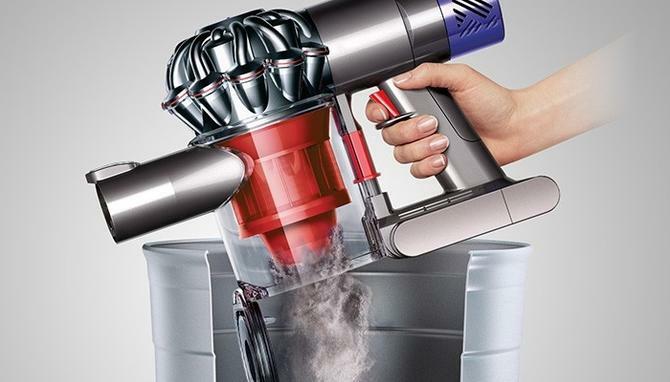 “We sell Dyson products and we wanted to make sure our online experience of purchasing Dyson was the best in the world. So we worked with our digital team in London to measure all our product pages and content pages met the optimum customer value in terms of reviews, information, content and images. Bevan agreed you can overanalyise and overcomplicate things, but it’s about breaking the experience down and focusing on simplicity and truly optimising components of the web experience. “For instance, we found most people come onto our site first of all to do some research before making a purchase, so in our experience, they don’t go necessarily to cart, they go to store,” he explained, “So as a business, we didn’t think our call to action was about to remembering the product and emailing it to the customer, the call to action was to a store locator and pointing the customer to the store experience.